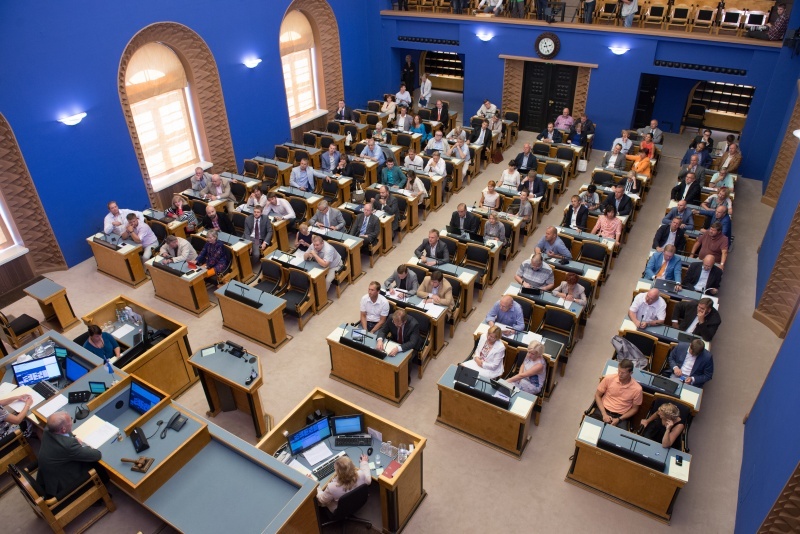 The Riigikogu passed the Resolution that enables Eesti Pank to continue to increase the reserve capital by EUR 200 million, i.e. to EUR 300 million. 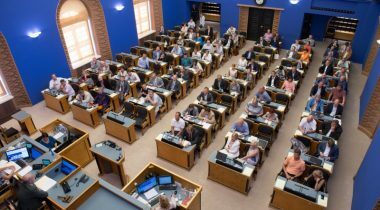 68 members of the Riigikogu voted in favour of the Resolution on increasing the reserve capital of Eesti Pank (183 OE), submitted by the Finance Committee, and six were against. Eesti Pank had turned to the Riigikogu with a proposal make a decision on the continuation of the increase of the reserve capital. In view of risk assessments and comparisons with the capital resources of other central banks belonging to the European system of central banks, Eesti Pank considers it necessary to increase its capital buffers, which amount to 451 million as at 2014. The capital buffer of Eesti Pank consists of the base capital, the reserve capital and other elements of the capital buffer. Capital buffers are recommended to be increased until they reach the average level of the central banks of the euro area which, in the estimation of Eesti Pank, is ca EUR 1.2 billion. The calculation is based on the amount of the holding of Eesti Pank in the European Central Bank. The Bank of Estonia (Eesti Pank) Act provides that when the amount of reserve capital becomes equal to the amount of base capital, the Riigikogu decides whether or not to continue increasing the reserve capital. Eesti Pank cannot make the decision on the distribution of the profit of 2015 before the Riigikogu has made a decision on the reserve capital. The Bill on Amendments to the Labour Market Services and Benefits Act and the Unemployment Insurance Act (172 SE), initiated by the Free Party, passed the first reading in the Riigikogu. It provides for termination of the conflict that at present does not allow members of the management board of a company to receive unemployment insurance benefit. The Bill would eliminate the restriction to the effect that members of the management board of a company cannot register as unemployed, and would ensure that members of the management board are entitled to receive unemployment insurance benefit. The Chancellor of Justice had drawn attention to the conflict with the Constitution. The Riigikogu rejected at the first reading the Bill on Amendments to the District Heating Act and the Apartment Ownership and Apartment Associations Act (176 SE), initiated by the Centre Party. The initiators had wished to ensure that suspension of heat supply would not jeopardise the property of those apartment owners who have paid their bills on time and have fulfilled all obligations to the heating undertaking. Kalle Palling, who made a report on behalf of the Economic Affairs Committee, said that the majority of the comittee had found that the proposed legislative amendments would give a false signal to people as if it were permissible not to pay bills, because heating undertakings were no longer allowed to worsen the situation of apartment owners with suspension of heat supply. “There was a doubt whether this Bill could solve problems belonging to the social domain,” Palling described the discussion in the Committee. “A question arose whether heating undertakings should offer the service free of charge after all if there are also malevolent apartment owners who in principle do not wish to pay bills,” Palling said. During the debate, Martin Repinski took the floor on behalf of the Centre Party Faction. The Economic Affairs Committee moved to reject the Bill. 45 members of the Riigikogu voted in favour of the rejection, 28 were against, and there were 6 abstentions. The Bill was dropped from the proceedings.